No, that's not a typo. There's another Vladimir P. in Russia that wields immense power – Vladimir Olegovich Potanin, the richest Russian oligarch of them all. Potanin has always belonged to the upper echelons of Russian life, born in Moscow into a high-ranking communist family in 1961. After studying international economic relations, Potanin went to work for the USSR's Ministry of Foreign Trade, like his father before him. The things he learned and the connections he made working for the state paid off in 1990, when Potanin left the ministry in the midst of the USSR's downfall. With $10,000 in capital, he launched Interros VEA, which back then was just a foreign trade financial consulting agency. 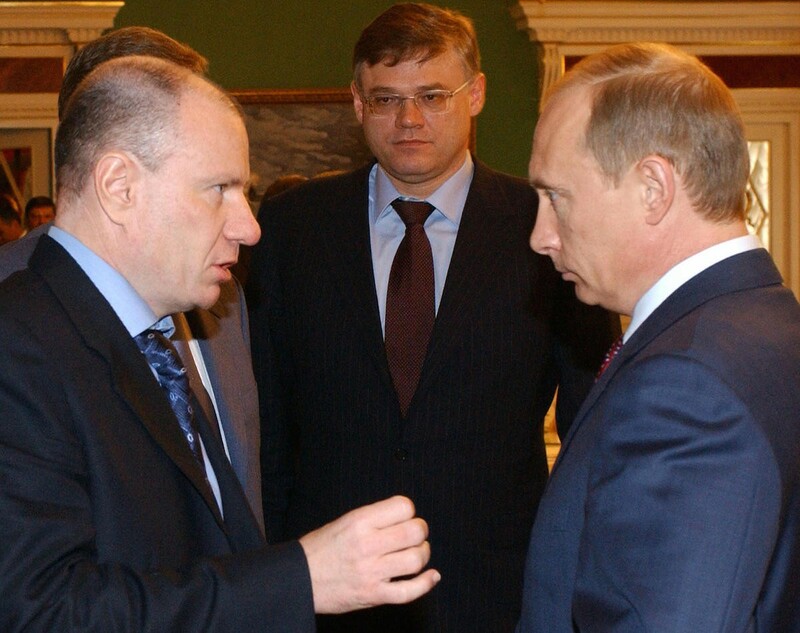 A few years later, with privatization fully underway, Potanin became one of the first Russian citizens to open a private bank in 1992, along with business partner Mikhail Prokhorov (best known today as the billionaire owner of the Brooklyn Nets). Through the rest of the '90s, Potanin and Prokhorov expanded their influence and holdings into metals and energy through the controversial "loans-for-shares" program of the Boris Yeltsin era. Case in point: In 1995, the government was auctioning off Norilsk Nickel, a huge nickel-mining conglomerate that earned $400 million a year. But its starting price at auction was only $170 million, with Prokhorov's own bank administering the auction. Two bids eventually came in. The highest, at $355 million, was immediately disqualified by the bank, leaving the bid entered by Prokhorov and Potanin's Interros group – a bid of just $170.1 million – as the winner. More auctions followed, at the behest of Potanin, who worked as Deputy Prime Minister in charge of much of the privatization efforts. In the end, Interros ended up in control of Sidanko oil company, with additional interests in shipping and steel. "Many people say the privatization was unfair: that is true – it was unfair," Potanin told Reuters in 2012. "That is a fact: some people became rich and others did not. Unfair does not mean illegal but it was inevitably unfair." Over the next decade, Norilsk Nickel's revenues exploded, and when the company went public, Prokhorov and Potanin both became even more obscenely rich. Interros also continued to expand its holdings, dipping into the worlds of media, retail, and real estate. In 2007, citing irreconcilable differences, the two businessmen decided to part ways, with Potanin remaining at the helm of Interros and Prokhorov leaving to form his own new company. After the protracted splitting of investments, Potanin's pocketbook was hit with another shock – the global financial crisis, which brought his total net worth down to around $2 billion. But the split from Prokhorov wasn't Potanin's most costly. In 2014, Potanin divorced Natalia, his wife of 30 years. By this point, his assets had grown again to roughly $15 billion, and Natalia demanded half of them, leading to what could be the costliest divorce in history. At the time of this writing, the final verdict on the settlement is still playing out in court. Meanwhile, Potanin has already remarried a former employee with whom he fathered a love child. Potanin's lawyers have said he offered his ex-wife nearly $50 million; properties in Moscow, London, and New York; and a hefty monthly allowance of $250,000 as a settlement for the divorce. But Natalia has denied receiving any such offer. However the divorce settlement plays out, Potanin likely isn't sweating too hard as he sits back and enjoys life on one of his two luxury yachts, the 249-foot Anastasia and the 290-foot Nirvana.